The Deer have so much to teach us: about grace, balance, strength, agility, intuitive spirit, supreme adaptability, and intimacy with the land and the plants. Deer can live almost anywhere! Deer is tenderness woven with attuned power, deep listening, and quick instincts–qualities of which we might all do well to cultivate within ourselves, yes? 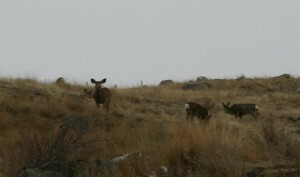 Deer is gentle and vulnerable, but Deer is also the old “mossy-backed” stag of the forest. The mossy-back stag is so attuned to the ways of nature and presence that he is practically invisible, easily eluding the blundering presence of humans, especially those bent on his destruction. His many-tined antlers display his ability to side-step death (be it from hunters or doubt or fear), to battle successfully for their place and mates, to say yes to life. 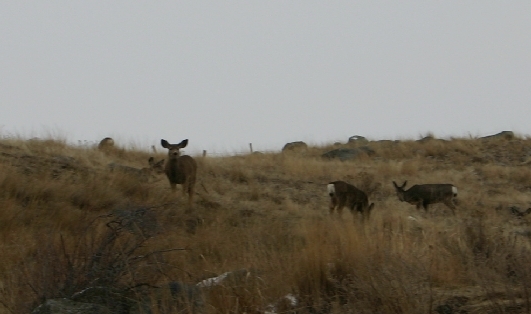 As a healer, harper, and human being who has long been inspired and fascinated by the Deer (read here about some of my connection with the Deer) I have surrendered to this lifelong quest to explore who Deer is and how I may embody the Deer, and teach and to share what seems to me to be the way of the Deer in a world that needs reminding of its strength and beauty. 2 months ago a deer ran in front of me while driving company truck and I killed it. The next day I was driving up the same road, another deer was going to cross street and I stopped. It stopped and started shaking its body and I had noticed a squirrel dancing around across road from deer. I then proceeded driving. Now I’m noticing and seeing deer everywhere. I was in Burlington Vermont last weekend and saw a statue of a deer that was exactly positioned when I hit other deer. I felt terrible about hitting the deer. Do you know the meaning of all this? Hello, Ed, It sounds to me like you are deep in the Mystery of the Deer! Only you will be able to identify for yourself what the Deer have to reveal to you–and even then, you’ll likely find more questions opening before you. Here are a few thoughts that came to mind when I was reading your story. Feel free to muse on them, or leave them, whatever feels resonant to your journey. 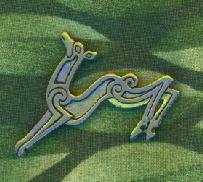 It seems to me that hitting the Deer broke you open, so to speak, ushering you in (as Deer have always done in Celtic lore) into another layer of perception and understanding — that we humans do have connections with the natural world, and that the natural world speaks to us. We just have to learn/relearn the language that allows us to do so. It’s not one of words (usually) but of the heart and our embodied perceptions. I’m intrigued by your encounter with the shaking Deer and the dancing Squirrel. I can’t even suggest to you what that might mean. As with dreams, allow that memory to rest in you and suggest possibilities. Allow yourself to be open to whatever sensation you feel, any thought you have as you just sit with that image. You will likely uncover many associations and layers of meaning over time. You can do something similar with each of your encounters with Deer, just be with the memory of them and let those memories lead you. In my opinion, when we have synchronicities with a particular animal (or any thing of earth and heaven, really!) we are in flow with our own soul, following a trail through a forest or desert or field of the heart. If it feels right, you might open to feeling gratitude to the Deer (if you indeed you actually are grateful!) for the strange and wondrous journey you are on …. It sounds too like you carry a terrible grief and sadness about the accident. If it feels right, you might consider engaging in some small ceremony in honor of the Deer. It could be as simple as lighting a candle in honor of that Deer and just sitting in silence with that flame until it goes out or you blow it out. These are just my thoughts right now. Again, if they do not feel right to you, let them go!